Seeing as I have no choice to go down the route of OTN and with no documentation then so be it, I will update this post once all the documentation becomes available with the highlights. There are some caveats on the above so for more detailed information check out the support matrix. 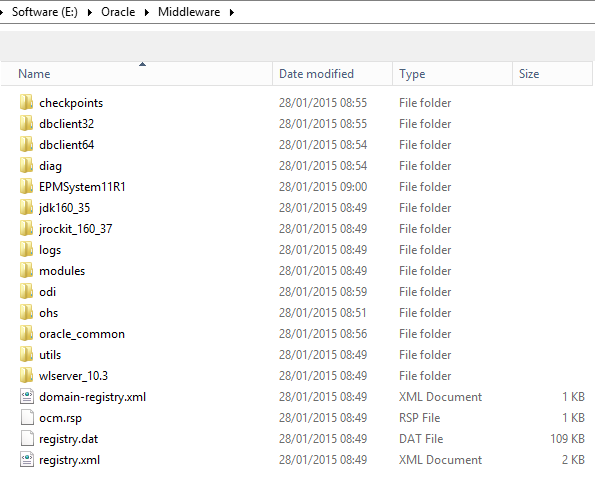 As windows 2012 is at last supported I am going to take the plunge and install on it and configuring against Oracle 12c (12.1.0.2.0) database. Please be aware as this has just been released it just my initial view which I am sure will change once I have gained more knowledge on the release. Once the files are downloaded and extracted under the same location you will notice there have not been any changes to the file structure. There are a few additions in the root installation folder. 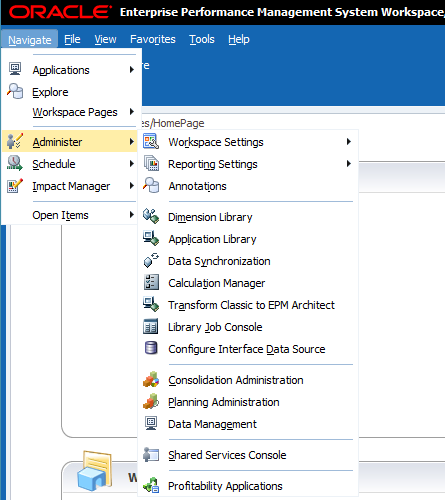 Supplemental Data Manager and Tax Supplemental Schedule Smart View Extension installers. Running through the installation is exactly the same as previous versions. Most of the options are the same on the product components screen though there are few changes. As you will notice FDM has been removed, farewell and time to move on to the much superior FDMEE. The new Tax Management product including Tax Governance and Reporting is available. 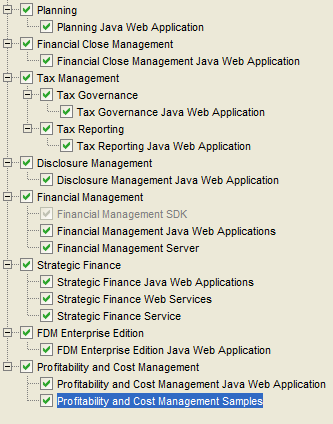 Financial Management includes the new SDK and the ADM option has gone. 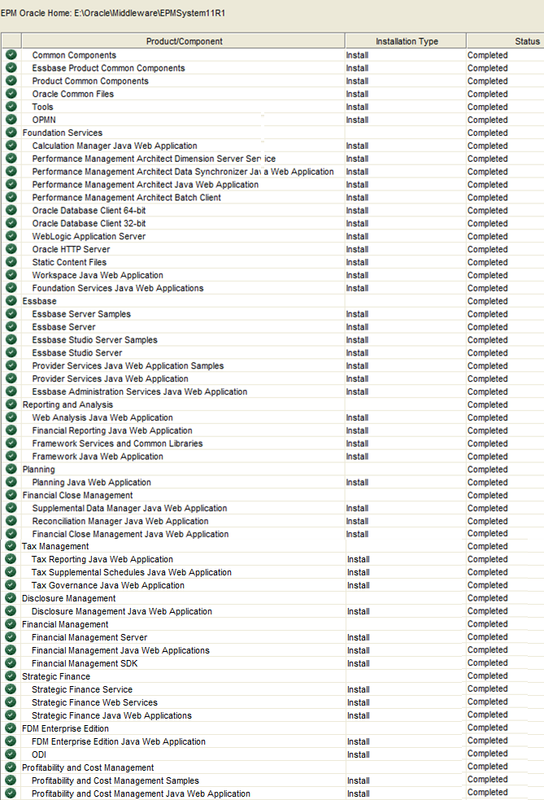 I went to install all the products just to test whether there would any problems installing on Windows 2012 but as you can see all green. The underlying directory structure remains constant. Now on to the configuration which remains in the whole pretty much similar to 11.1.2.3 and I will miss out some sections. 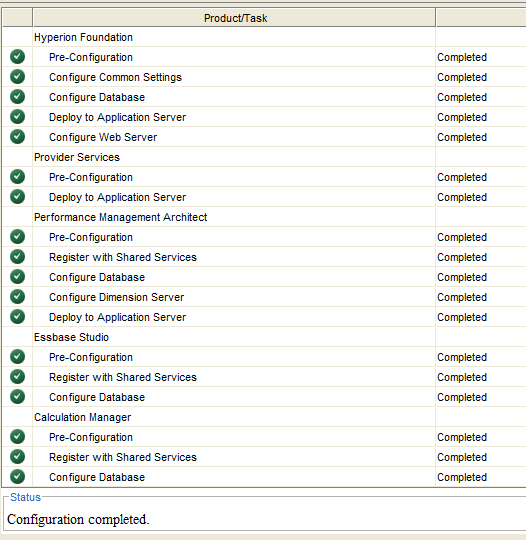 The configuration to Shared Services and Registry Database has no changes. 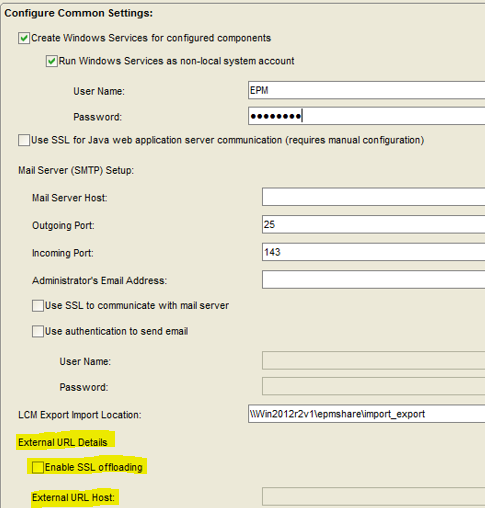 There is the new addition of Tax Management and the removal of DCOM and the web server from the FM configuration. 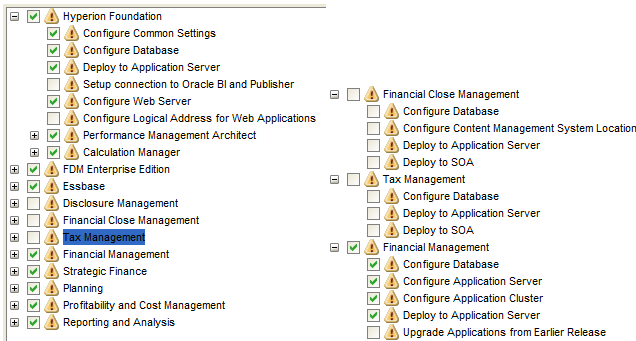 In this configuration I am not going to configure FCM/Tax Management as they require SOA so I will leave that for another day. Under FDMEE the register HFM adaptor is no more now that HFM has moved into the Java world so it will be built into FDMEE by default. The common components screen now has a new option to enable SSL offloading and host details. The configure database screen no longer has the option to upgrade from a 11.1.1.4+ version. The deploy application server still has the annoying deploy to single managed server enabled by default which I quickly deselected. The essbase configuration has a new additional option to set the binding host name which I know will help in cluster configurations. 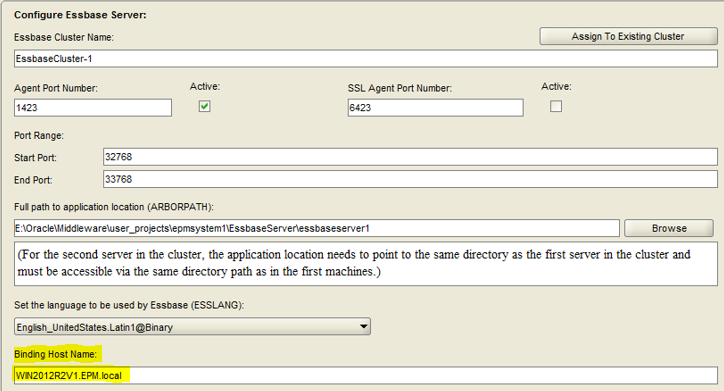 "Specify a Binding Host Name to have Essbase bind only to the IP address for the specified Binding Host Name. Otherwise, at startup, Essbase binds on all available IP addresses." 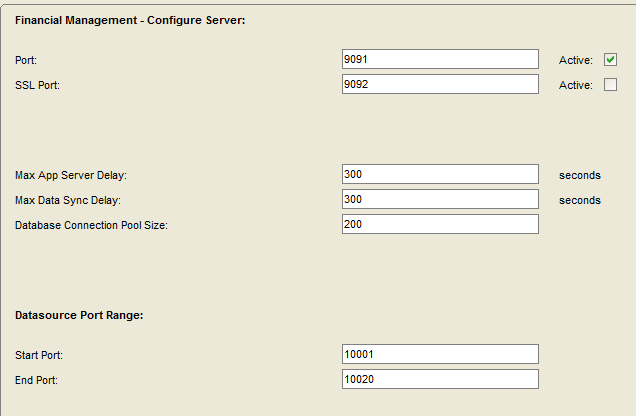 >The FM configure server has the new options for the server port and datasource port range. The cluster configuration remains the same. The hardly ever used and more annoying than anything Oracle Configuration Manager (OCM) Registration has been removed so another less thing to worry about especially on Linux. And besides all screens which are exactly the same as 11.1.2.3 then that is pretty much it and off the configuration goes. 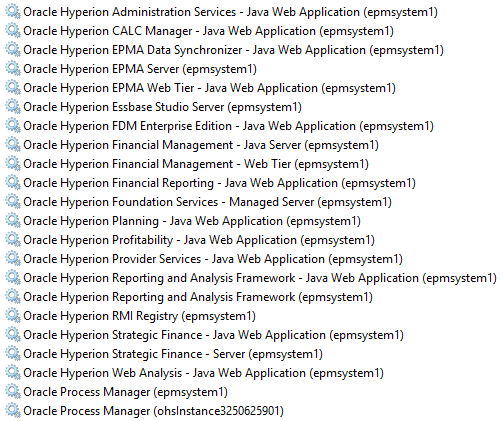 Surprisingly enough I didn’t have any failures on win2012 and the validation report is all happy too. If you take a look at the windows services there is not much of a shock. Financial Management is down to two services instead of four. 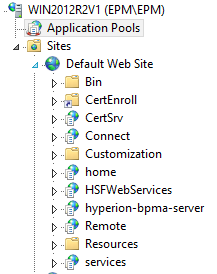 IIS is very quiet indeed with no FDM and no FM now that it has fully moved in to java web application world. Firing up all the services was once again successful and you can see that workspace has a very slight makeover. 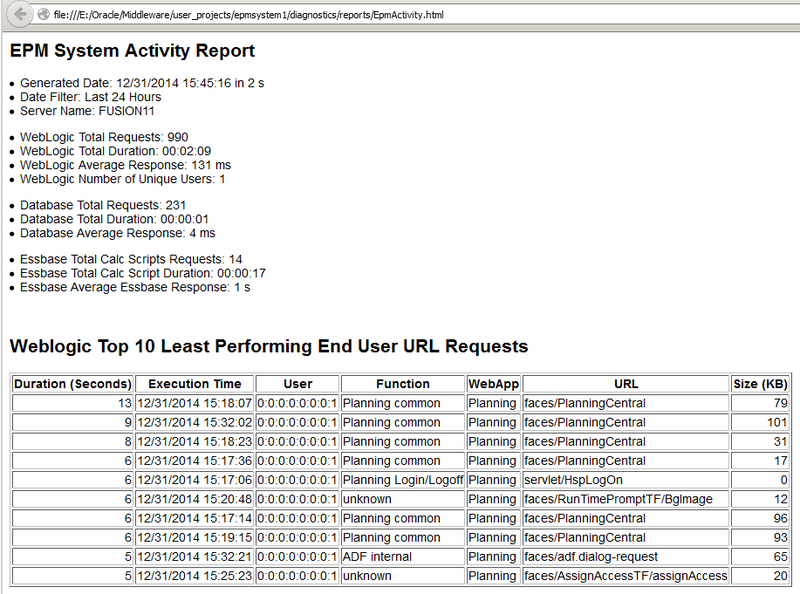 Did you know there is an EPM System Activity Report in 11.1.2.3+? 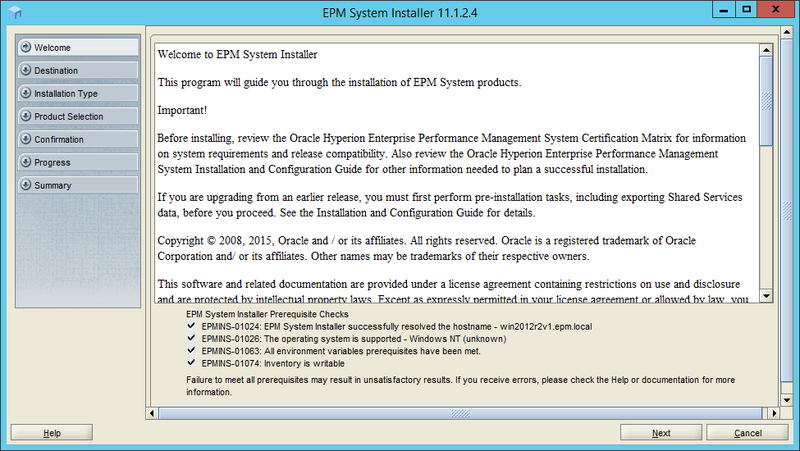 It is not documented and probably was only developed for use with Oracle’s PBCS but nevertheless it does exist and can be run on any EPM server. 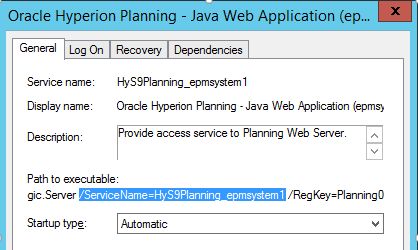 As this looks like it has been developed for PBCS then the WebLogic statistics are only against the planning web application, the database statistics are produced against an Oracle database and looking at a single schema development. So this report is obviously not for everybody but it highlights what is being developed in the background to the on-premise world. Basically the WebLogic section of the report is built up from parsing the access log in the planning managed server logs directory. The database section is generated from the Automatic Workload Repository (AWR), the AWR is used to collect performance statistics for the Oracle database. 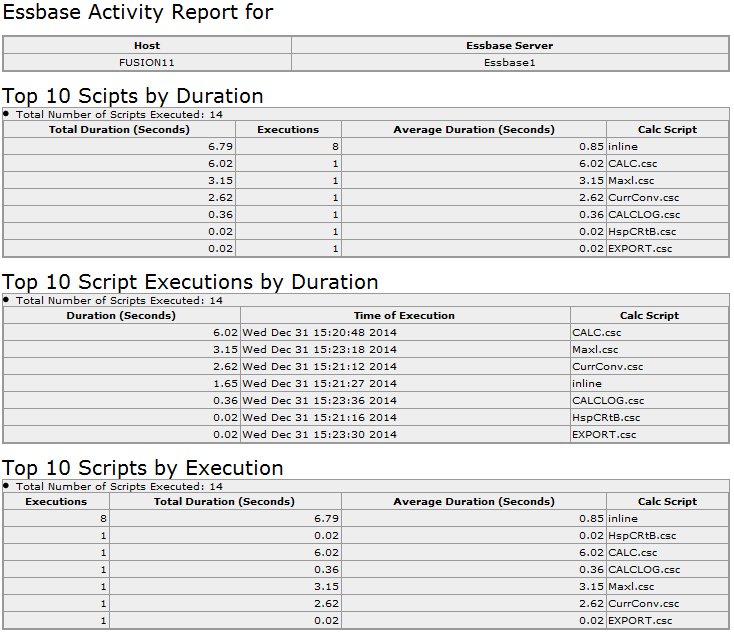 The essbase section is generated by parsing the application logs for each database and focusing on the execution time of calcs. This will generate an html report named EPMActivty.html in the diagnostics reports directory. The report is broken down into all the statistics which I mentioned earlier. It is possible to use parameters to generate the report within a specified number of days or between a specified time period. The “from and “to” time must be specified in YYYY-MM-DDTHOUR:MIN:SEC format using a 24-hour clock. If the ODL logs exist the essbase sections of the reports will be blank, to get around this the ODL logs can be removed and disabled by editing the logging xml file, and did you know that was possible? Sorry that didn’t to the selected topics for this series. I am not going to cover it but It is even possible to alter the design of the reports by editing certain template files. So that is the end of the series which I hope some have found useful, there are many other topics in the list that could have been covered but unfortunately I have run out of time, maybe the series will return again some time in the future.